The Arrangers’ Guild is a Standing Committee of The Garden Club at Palm Coast. As such it operates to serve a very specific purpose of the Club. 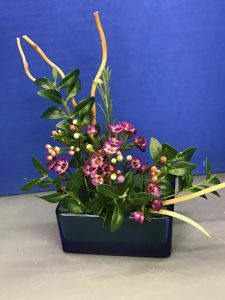 Floral design, its study and love of flower arranging and flower show competition is a major part of the Garden Club experience. 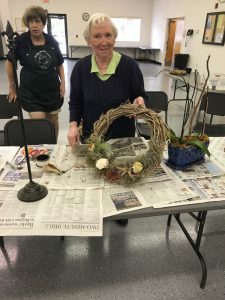 If you share a love of flower arranging, want to have “Fun With Flowers”, make wonderful decorations for your home (especially for the holidays), you are cordially invited to join the Guild. Learn the basic techniques of floral design from seasoned members of the Guild and from certified FFGC Flower Show Judges during special classes throughout the year. The Guild meets on the third Tuesday of each month, September through April. The first meeting in 2018 is Tuesday, September 18 at 10:00 AM at the Flagler County Cooperative Extension Service, 150 Sawgrass Rd, Bunnell. This is an opportunity to meet the members, work on a project, and enjoy some refreshments. The schedule for the coming year will be given. We have a number of meetings planned that were requested by the group. It will be a fun and exciting year!